Input text: the dog is on the road. the road is 100 feet long. it is 6 feet wide. the anteater is 4 feet behind the dog. 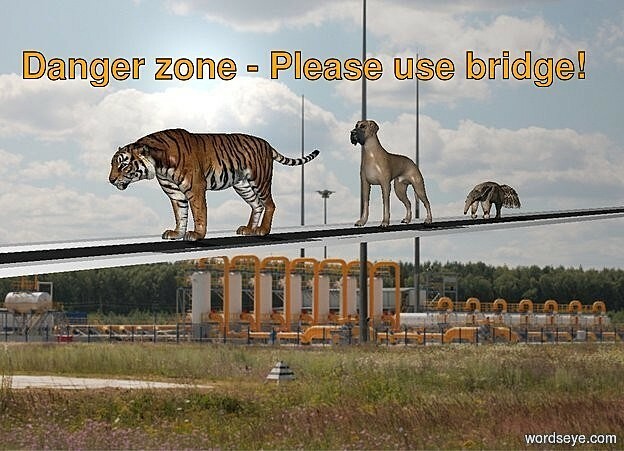 the tiger is two feet in front of the dog. the shadow plane is invisible.